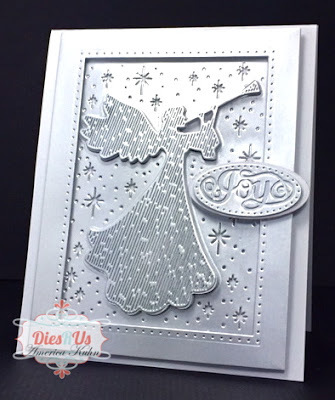 Christmas Angel Card #1 uses the Festive Collection 2018 Christmas Angel, the Mosaic Babule Background die set (for framing), and the "Joy" sentiment comes from the Sentimental Bauble Die-Set. 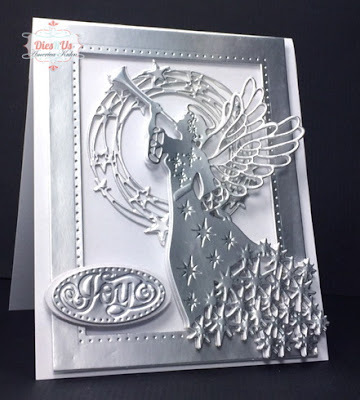 The Dry Embossing was done with Sue's Fine Finials Embossing Folder. 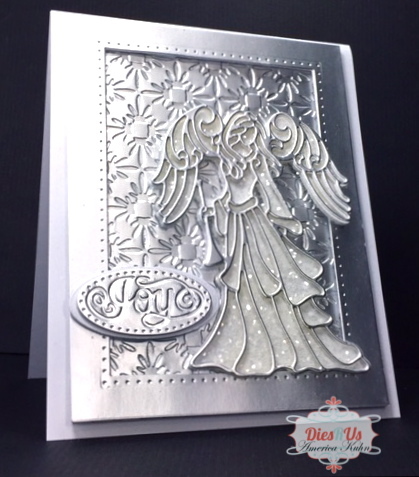 The Angel is backed with CE's Cosmic Shimmer Iced Snow Glitter Jewels. Christmas Angel Card #2 uses the Festive Collection 2017 Christmas Angel, (love how the die set includes this fab background), the Mosaic Bauble Background (for framing), and the "Joy" sentiment comes from the Sentimental Bauble Die-Set. 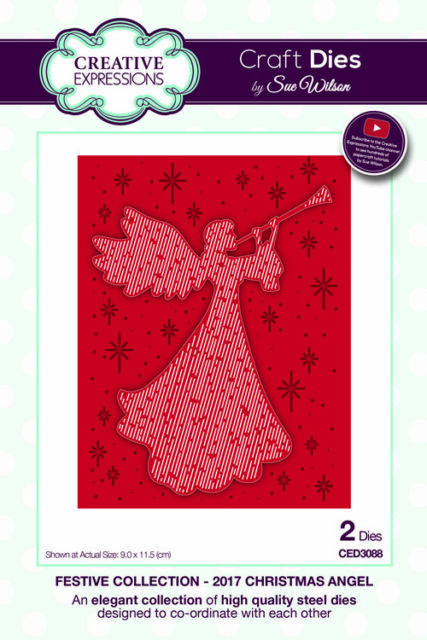 Christmas Angel Card #3 uses the Festive Collection 2016 Christmas Angel, The Twinkle Star Frames (for the embossed background), the Mosaic Bauble Background (for framing), and the "Peace" sentiment comes from the Sentimental Bauble Die-Set. 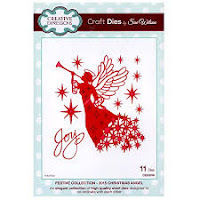 The Angel is backed with CE's Cosmic Shimmer Iced Snow Glitter Jewels. 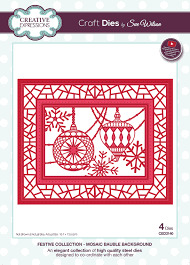 Christmas Angel Card #4 uses the Festive Collection Illuminated Angel mini Striplet, and the Mosaic Bauble Background (for framing). 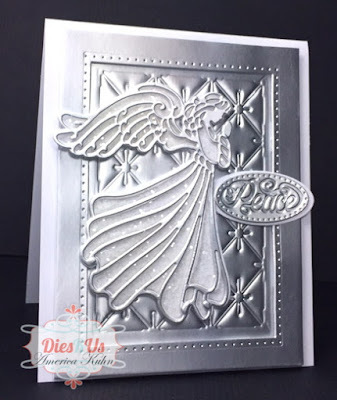 The "Peace" sentiment comes from the Sentimental Bauble Die-Set. The Dry Embossing was done with Sue's Fine Finials Embossing Folder. 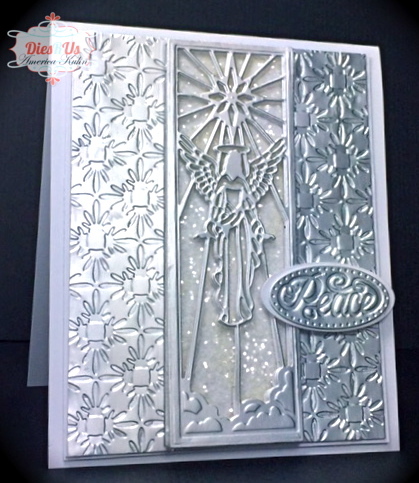 The Angel is backed with CE's Cosmic Shimmer Iced Snow Glitter Jewels. Christmas Angel Card #5 uses the Festive Collection 2015 Christmas Angel, 2018 Star Wreath Die set, and the Mosaic Bauble Background die set (for framing). The "Joy" sentiment comes from the Sentimental Bauble Die-Set. These Angels of Peace and Joy are fairly fast to make once you've got all your die-cuts ready! 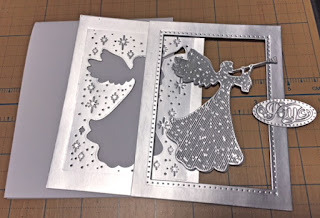 Just layer for depth and dimension, and embossing for texture and a little sparkle! 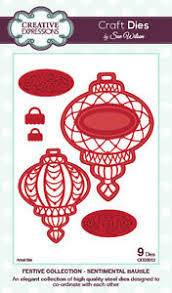 Thinking this card-set would make a great little gift-set! :) Hope you will give it a try! Die Cut Base Panels and framings as shown. Add foam tape pieces to the backings of the Angels as shown. Each card will have its own unique design, but with the same idea for a lovely collection. 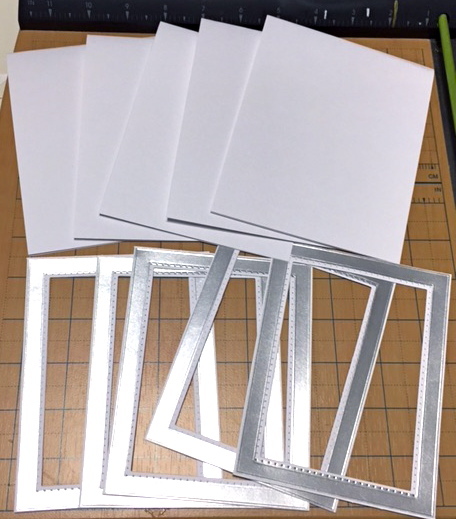 Cut an additional framing set and back with foam tape then adhere to first framing set for dimension. 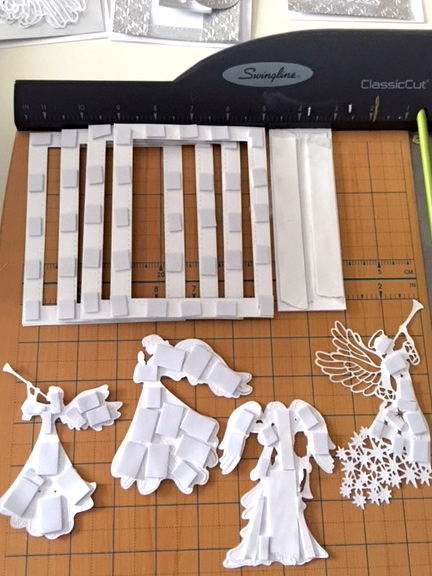 Assemble Angels as shown and adhere the layers as you like for depth and dimension! 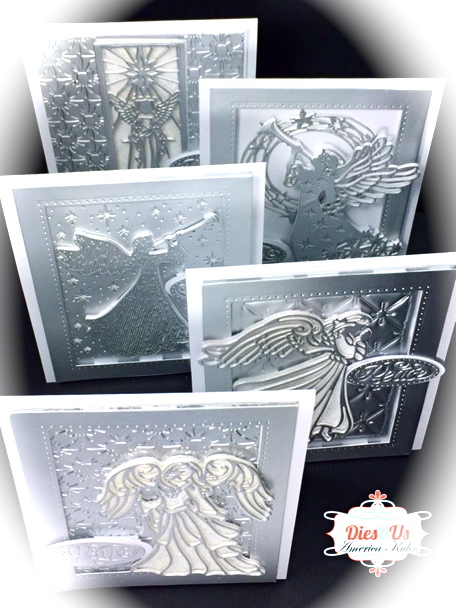 Completed Angel Card Set as a Gift! 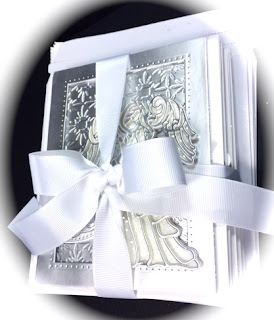 Stunning cards and gift set, America! You have certainly inspired me!